Relationships between humans and dogs can be complex. If you don’t take the time to adjust your behavior when owning a dog, then you could find that your bond is never able to reach its full potential. A loving and compassionate relationship with your dog can be hugely rewarding, and you can achieve this largely by cutting out many of the behaviors that make dogs anxious, confused, fearful, and otherwise distressed. Whether you’re planning to bring a dog into your family soon, or even if you’re a long time dog owner, you can benefit by learning about these top 10 things humans do that dogs hate. Loud and sudden noises will spook most dogs. Fireworks, loud music, car horns, and even abrupt and loud conversation can be stressful for dogs. Dogs shouldn’t be reprimanded when they howl or whimper due to loud noises. Instead, try comforting your dog instead. Try to expose your dog gradually to the environment where you live, and be mindful of sounds you make that could distress your dog. During fireworks, loud parties, or other events, keep your dog in a safe and quiet place where they will feel comfortable. Dogs are naturally social animals and they hate it when you leave them alone. 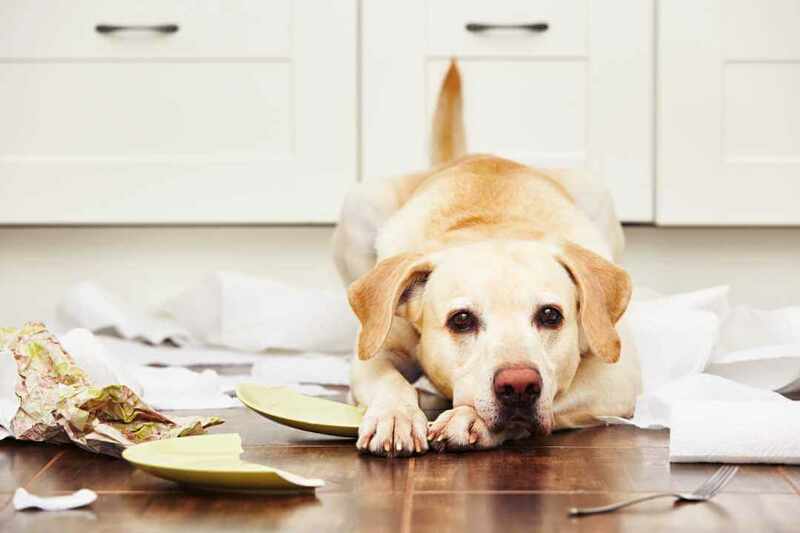 Separation anxiety is common in dogs, so it’s important that you don’t leave yours alone for extended periods. Labradors and Retrievers often suffer from separation anxiety more than other dogs. You might have a sudden urge to embrace your dog as you would a close loved one or child. While some dogs can develop a tolerance for this type of behavior, it actually causes significant stress in the majority of cases. Hugging can be seen as an invasion of personal space, and should be minimized unless you are sure your dog is comfortable. The key is to ensure that your dog doesn’t feel restrained. When walking your dog, it’s important that you give them time to sniff, explore, and absorb their surroundings. Many owners rush dogs during walks, which can make the animal feel anxious and annoyed. Allow your dog to take their time so that they can gain all of the physical and psychological health benefits of a walk outside. Although dogs can be trained to learn their names and certain verbal commands, it’s important to remember that they simply don’t understand most of what you say. Complex commands and language will confuse your dog. Keep things simple and train key words rather than entire phrases, and reinforce these words with strong body language and gestures. A dog’s sense of smell can be over 10,000x more sensitive than your own. It should come as no surprise that dogs don’t like to be exposed to strong scents, particularly perfumes, detergents, and household cleaners and chemicals. When interacting with your dog, avoid wearing perfume and scented deodorants. When you’re cleaning around the house, keep your dog somewhere safe where they can breathe free. You might think it cute to dress your dog up in clothes made for animals. While it might make for a great photo opportunity, the reality is that dogs don’t like to be dressed in anything other than their natural coat. Clothes feel restrictive and can cause overheating and general discomfort. Some materials may even agitate your dog through allergic reactions. Dogs need routine and structure, and hate when they don’t have it. Providing an environment and routine that is familiar will help to build confidence and trust. Your dog will be more comfortable and having a routine can even help with training. Keep walks, feeding time, and play/training time on a regular schedule. Most dogs do love socialization, but, like humans, this should be natural and on their own terms. When bringing two dogs together, introduce them gradually and in a controlled environment. Never force an interaction if either dog is visibly aggressive, afraid, or shy. Dogs do need boundaries and structure, but there is a line to be drawn in terms of scolding and discouraging bad behavior. You should never yell at your dog. The noise and confrontation is a sign of aggression and it can make your dog fearful and submissive. In some cases, aggressive yelling and frequent scolding could lead to aggressive behaviors in your dog. When you know what your dog dislikes, you’ll be able to provide a comfortable environment and both of you will better enjoy the precious times that you spend together. These are some awesome tips. I am familiar with most of them, but I was really surprised to read about the excessive hugging part. I always thought dogs loved to be hugged more than other pets. Thanks for sharing this article. Interesting and informative article. It’s really nice to know that there are people out there who care enough and are considerate enough to be sensitive to a dog’s needs and are also willing to share those thoughts with others. I agree with everything on this list, although a couple of things I hadn’t really given too much thought to until now. I think a lesson I learned as a former dog owner, and perhaps a future dog owner, is that there are many things to consider when thinking about being the owner of a pet. Getting the dog and bringing it home is just the beginning. Care for a dog is daily, ongoing, and never-ending, and being sensitive to what a dog needs is a must if you are to be a good dog owner. It’s well-worth it and rewarding, but it is a serious JOB and responsibility, it’s not all fun and games. I actually thought that scolding a dog is okay as it tells them that I’m not happy with what they did. I wonder how we can do a time-out with dogs to tell them that we mean business in our discipline to them. This makes total sense. Dogs like predictability, so it makes sense that they like routine and that changes in routine are stressful for them. I don’t know many humans, let alone animals, that like loud noises. While fireworks are pretty, many dogs, including mine, are afraid of the loud booms. Unfortunately, we live downtown in a major city, and there are a lot of fireworks set off here during summertime. When it’s fireworks time, I turn on some soft, soothing music to try and create a nice comfortable atmosphere for my dog to enjoy. It does seem to help her relax when the fireworks are going off. We can easily tell when we have been gone too long from our dogs. The longer we are away, the more of a fuss they make when we come back. That tells us that we’ve been gone too long for their liking. We give them a treat when that happens though, and all is forgiven.